The Rebel Sweetheart. : Spotlight | Amethyst Teardrop Earrings from SuperJeweler. Spotlight | Amethyst Teardrop Earrings from SuperJeweler. Oh, happy day! The San Antonio Spurs won Game 5, Manu Ginobili played a colossal game and showed the fans what he was made of, and as if these were not enough, my package from SuperJeweler came in the mail today! SuperJeweler is a New York-based online jewelry store, and sometime last month they sent me an email asking if I would be interested in doing a product review. Any girl who has an affinity for jewelries, accessories, and gemstones would agree, which I of course did. Stephanie, the store's representative, gave me the liberty to choose which piece of jewelry I would like to receive. I chose this pair of Amethyst Teardrop Earrings for several reasons: 1) Purple is my favorite color; 2) Amethyst is one of my favorite stones (not my birthstone, though); 3) I have a penchant for dangling/chandelier earrings. Crafted in sterling silver with 18k gold overlay, these earrings are guaranteed to draw attention and spice up even the most basic wardrobe. The earrings, which feel light as a feather when worn, hang by an inch. The stone itself is pear-shaped and weighs 15 ct. It even comes with a Lifetime Guarantee, as with all pieces purchased from SuperJeweler. If you're from the Philippines and would like to order at SuperJeweler, you'd be glad to know that they offer free shipping to anywhere in the world, via the US Postal Service. My gift took about three weeks to arrive, so expect yours to arrive within the same time frame should you place an order at their website. 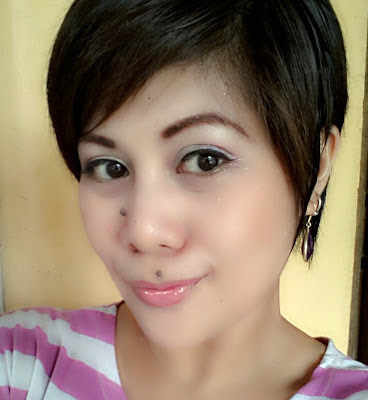 To end this post, here's how I rocked my Amethyst Teardrop Earrings. No, I'm not wearing false eyelashes. Thankful that I inherited my dad's long neck. I used to hate my neck when I was a kid, haha. Disclosure: The Rebel Sweetheart received the aforementioned product for review purposes, and was not compensated in any form. Thoughts and opinions expressed are entirely my own. Amethyst is my daughter's birthstone. Oh, those earrings look lovely on you. 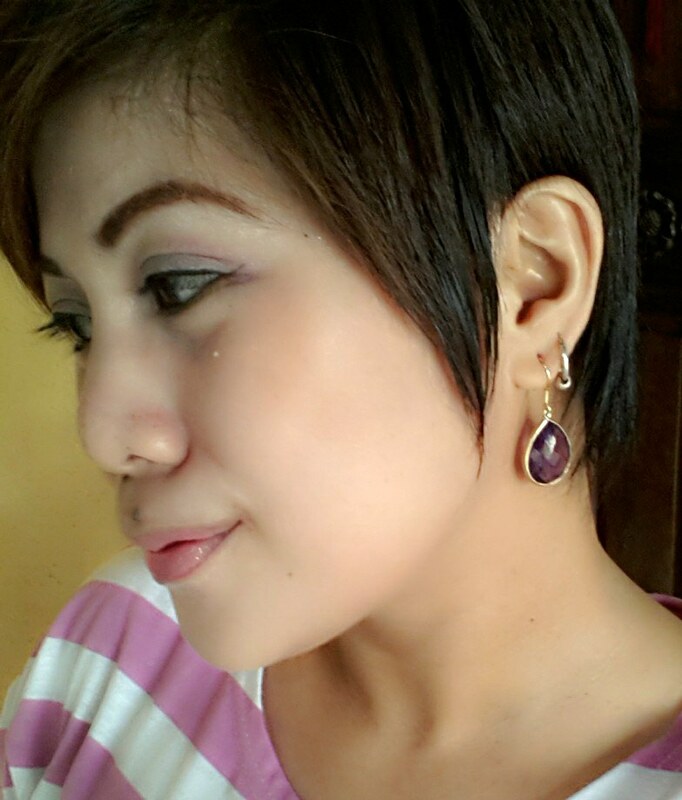 The Amethyst earrings looks good on you. The accessory complements your face. they are gorgeous!! and what a deal! this really looks awesome on you. Those are really cute earings Czjai! It goes so well with your hair cut! I could tell you how many outfits of mine those would go with! Very nice! That's nice! I don't really wear earrings or any type of jewelry aside from my wedding ring, but the younger, teenager me would have loved my birthstone version of this. They are beautiful earrings and they look great on you. So pretty! Here's to the Spur's winning again tonight! I love the color. It's perfect on your short hair. that's a really dainty piece. nice choice! I Love the color violet too! I think your choice is awesome. Its soooo pretty! Accessory lover here as well. I love it sis. It looks very pretty. So lucky you to receive that kind of earrings. Hmmm.. may pink ba nyan? Haha.